The problem for disabled professionals isn’t motivation - it’s practical solutions, argues Nancy Doyle. Work is part of our identity. Work affects our confidence, our resources, our social support networks, our entire lives. Struggling to find work, or succeed at work can be isolating and this can be devastating to our general health and mental well-being. "Reasonable disability adjustments can be really simple and easy to implement." A disabling condition is a double whammy on the pressure to succeed. There are approximately 11 million people in the UK living with a disability, six percent of children but rising to around 16% of working age adults. The way we are treated in diagnosis and early support can affect how well we adapt and respond, yet the diagnosis process places all our attention on what is not working well, what we can’t do, what needs fixing. There’s a story being told that people with disabilities are somehow gaming the system, they are lazy and need help to be ‘motivated’ to try and find work. I find this patronising and insensitive. Attempts to ‘motivate’ through regular assessments where you have to prove how ill you are to avoid financial penalties have received wide and justified criticism. 50+ years of psychological research shows that threatening and manipulating people rarely motivates them. 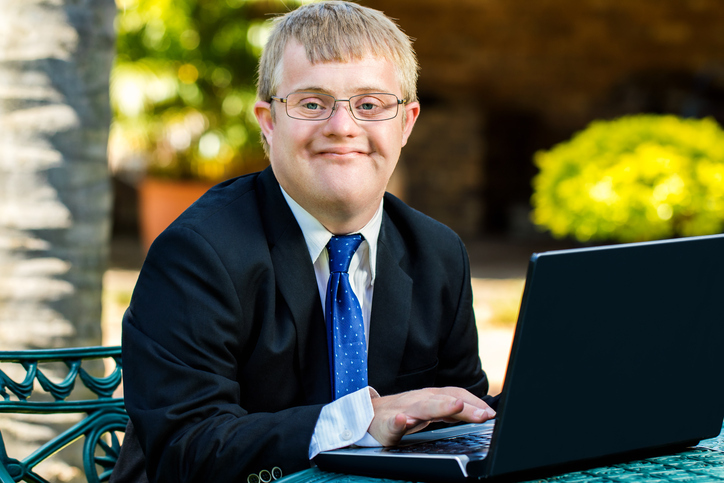 So how can we address the disability employment gap? Only 16% of people with autism have a job. There’s a huge grey area in what is considered a ‘justifiable’ disability and what is not – 28% of people who are long-term unemployed have dyslexia compared to 8% of people in employment. A third of the prison population have ADHD. Neither of these conditions would qualify for disability benefits yet both qualify for DWP funded in-work support under schemes such as Access to Work. People with head injuries or schizophrenia, who can have similar difficulties with concentration, memory and communication as ADHD, can in some areas receive intensive, personalised vocational support from the NHS. People with Tourette Syndrome receive nothing of the sort. Is it time to change the debate? coaching or training to develop personalised strategies for communication, memory or organisation, such as colour coded diaries or questioning techniques. Lots of employers feel they are ‘treading on eggshells’ with disability and though they want to do right, they don’t know how. But a bit of advice, a small spend for tools, equipment or specialist support is a fair exchange for loyalty, a motivated team and reduced turnover / absenteeism. Employers can take up the mantle and proactively offer reasonable adjustments, they don’t have to wait for problems to arise. Employees can ask for what they need before they are at crisis point. Policy makers would do better to educate and support the public with disability adjustments than to blame disabled people for their own demise. Access to Work is widely applauded in government. Analysis suggests that the service returns £1.10-1.50 to the tax payer for every £1 it spends (Melvill et al. 2015). What we lose on paying for advice and adjustments we gain on keeping people in work. There’s a clear return on investment and benefits the employer as well as the individual. Genius Within CIC, an organisation that specialises in the workplace support of adults with neuro-differences, recently won recognition from the Employability Related Services Association (ERSA) for demonstrating exceptional commitment in supporting jobseekers with disabilities and health conditions to achieve sustained employment.